I love this song. It’s just so fun. The chorus is a great to sing along with and it moves along at a brisk clip. Norton Buffalo, of Steve Miller Band fame, wrote Ain’t No Bread In The Breadbox and I’m not entirely sure how or when the song reached Garcia, but I’m glad it did. A quick search on the official Garcia site suggests that the song was played about 65 times by the Jerry Garcia Band between 1991 and 1995. 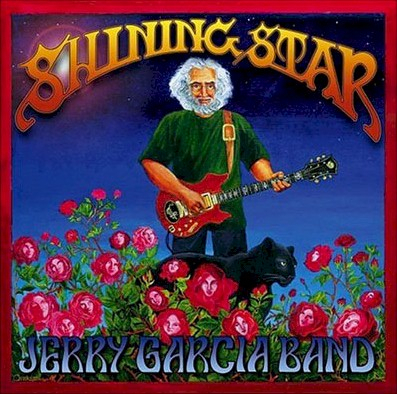 It appears here on Shining Star and a version also surfaced on Pure Jerry, Vol. 7. This is yet another song that gets me super pumped when it’s released. A few things jump out for me with this song. First there’s a few booming kick drum hits throughout that will rattle your sternum. Woah! Of course, there’s a majestic B3 at work for much of this song from Melvin, which is probably another reason I’m drawn to it. The female singers complement Jerry very well here too. More than anything else I love the melody of this song and the chorus. Jerry takes his time during his solo. There’s no rush here. The staccato accents from the B3 create a lot of breathing room here and Jerry strings together some lazy, yet fluid lines. He ducks in and out of the melody, dipping in just enough to establish where things are before trying something new for a few measures. During the fifth minute he flips on some light distortion that blends really nicely with the B3 and provides another tonal palate to play with. Very nice. Switching back to his clean tone signals a change and Jerry croons the second verse here. Man the chorus of this song is just so fun! This last chorus leads out of the song and it ends with a final ringing chord. Tagged 1990s, JGB, Shining Star. Bookmark the permalink. A Reddit poster shared this video of the original version of the song. Tres Cool!